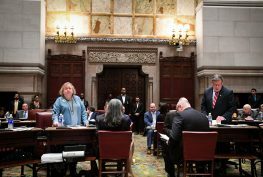 Albany – The Senate Majority passed the 2019-2020 State Budget that provides tax relief for overburdened New York families by implementing a permanent property tax cap, increases support for New York students by investing over $1 billion more in state education aid, and cuts taxes for middle class New Yorkers. 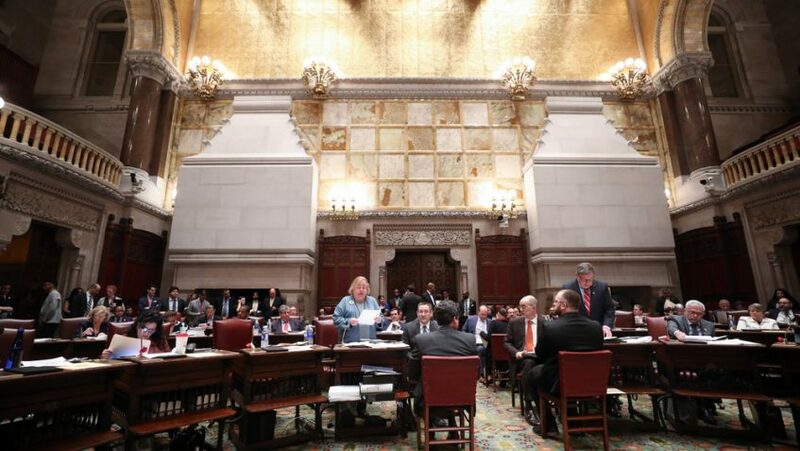 The enacted budget reflects a responsible financial plan that is within the available revenues provided by State Comptroller Tom DiNapoli and remains within the 2% state spending cap. The budget also includes historic action to reform the state’s justice system, implement the Affordable Care Act into state law, advance a public financing system, and invest in environmental protection efforts and ban single-use plastic bags. All of these accomplishments were achieved despite lower anticipated state revenues due to efforts by the Trump Administration to attack New York State finances. · Increasing School Aid by over $1 billion, or 3.8%, over the 2018-2019 school year. · Increasing Foundation Aid by $618 million, or 3.5%, over the 2018-2019 school year. o This investment brings the total state education funding to $27.9 billion, and allocates over 70% of funds to high need school districts. · Providing $342 million to fully fund expense –based aid and allows flexibility for Community Schools Foundation Aid Set-Aside funding. · Providing $849 million for expanded pre-kindergarten grants, $15 million increase to provide programs for three- and four-year olds. · Extends mayoral accountability of New York City schools for three years, and includes reforms to enhance transparency and parental/community input in New York City school governance. · Authorizes “piggyback contracts” for transportation in education by cutting the red tape that prevented school districts from working together to save money. · Providing $34.4 million for school lunch programs and a $9 million increase to expand early college high schools. · Implementing a permanent property tax cap, which was already passed by the Senate Democratic Majority this Legislative Session, is projected to save taxpayers $189.9 billion over the next 10 years. · Allocating $715 million of Aid and Incentives to Municipalities (AIM) funding to certain Towns and Villages within the AIM program and adding additional state funds to several in-need local governments. · Allocating $10 million in funding for early voting and $14.5 million in funding for e-poll books. · A public financing commission with binding power to implement public campaign financing for legislative and statewide offices. o Findings are due December 1, 2019 and will be binding unless modified by law within 20 days. · Expanding upstate voting hours to begin at 6:00 AM and end at 9:00 PM, to ensure all New Yorkers have uniform voting hours. · Protecting grassroots and volunteer-run organizations from being forced to register as lobbyists. · Requiring three hours of paid time off so New Yorkers will be better able to vote on Election Day. · Allocating $365,000 for the Minority and Women Owned Business Development and Lending Program. · Investing $4 million for the Workforce Development Institute. · Major investments to steer state and local resources to community banks and credit unions, which will help provide additional lending access to underserved communities. · Reforming Bail and Pretrial Detention: The enacted budget will eliminate cash bail for misdemeanors and non-violent felonies and ensure that no New Yorker is incarcerated because of their inability to pay. Additionally, law enforcement officials will be required to issue a desk appearance ticket to most people charged with misdemeanors and Class E felonies. · Ensuring the Right to a Speedy Trial: The enacted budget will ensure that defendants do not sit in jail waiting for a trial while dates keep getting postponed by requiring that misdemeanors are resolved within 90 days and felonies within 180 days. The enacted budget includes legislation that requires courts to take a proactive role in advising litigants on how time will be charged and inquire into the government’s readiness to proceed to trial and require the government to file all suitable paperwork before statement of readiness is accepted. · Transforming the Discovery Process: The enacted budget includes reforms that will overall New York’s discovery process to require that both prosecutors and defendants share all information in their possession well in advance of trial. This legislation will also ensure that both victims and witnesses are protected from intimidation and other forms of coercion by providing prosecutors the ability to petition a court for a protective order. · A traffic mobility plan that treats drivers fairly, reduces peak-hour congestion, incentivizes efficient commercial vehicle and business travel, and dedicates revenues equitably. · Providing dedicated revenue streams for the Metropolitan Transportation Authority (MTA) to receive $25 billion in capital assistance. · Allocating $438 million in Consolidated Local Street and Highway Improvement Program (CHIPS) funding. · Investing $100 million in OASAS to better confront the opioid abuse crisis. 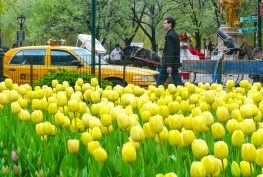 · Requiring health insurance companies to increase the length of time available for New Yorkers seeking in-patient treatment for substance abuse disorders. · Providing over $3.8 million for School Based Health Clinics. · Investing significant state funds for research and programs to combat diseases including Sickle Cell, Alzheimer’s, Parkinson’s, and Lupus. · Banning single-use plastic bags and empowering counties and cities to opt into a 5-cent fee on paper bags, with 40 percent of the generated revenue going to local efforts to provide reusable bags for low and fixed-income consumers, and 60 percent of the generated revenue going to the State’s Environmental Protection Fund. · Allocating an additional $500 million, for a total of $3 billion, for clean water infrastructure projects such as improvements to solid waste management facilities, inter-municipal infrastructure projects, projects to address emerging contaminants, water quality improvement projects, concentrated animal feeding operations, septic system replacement, and projects to address issues on Long Island. · Major investments for agriculture programs including $750,000 for Farm-to-School programs, $842,000 for the Future Farmers of America, $872,000 for the FarmNet program which provides assistance to farming families, and $750,000 for the Apple Growers Association. · Allocating over $1 million for the NY Wine & Grape Foundation. · Implementing the Lawful Source of Income Non-Discrimination Act of 2019 to fight housing discrimination. 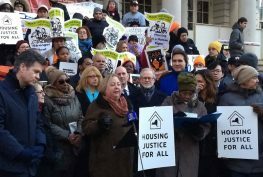 o New Yorkers who receive some form of lawful non-wage income or subsidies will now be protected against discrimination in housing including: domestic violence survivors, veterans, elderly, and disabled individuals. · Delivering relief for Nassau County homeowners by approving a five year phase-in of impacts related to the recently completed county-wide reassessment. · Increasing funding for the Tenant Protection Unit to $5.5 million, a 22% increase over the current year. 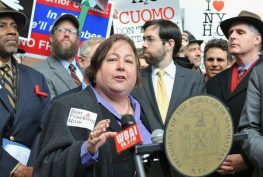 · Investing $20 million in foreclosure prevention services to help New Yorkers stay in their homes.